The Bee and The Bean love to build towers and knock them over. They make towers out of blocks, books, stuffed animals, anything they can find. So the other day while looking at the recycling bin, I wondered if I could some how make something for them to stack and build towers with. I then saw a bunch of empty juice boxes that I thought could become great blocks. 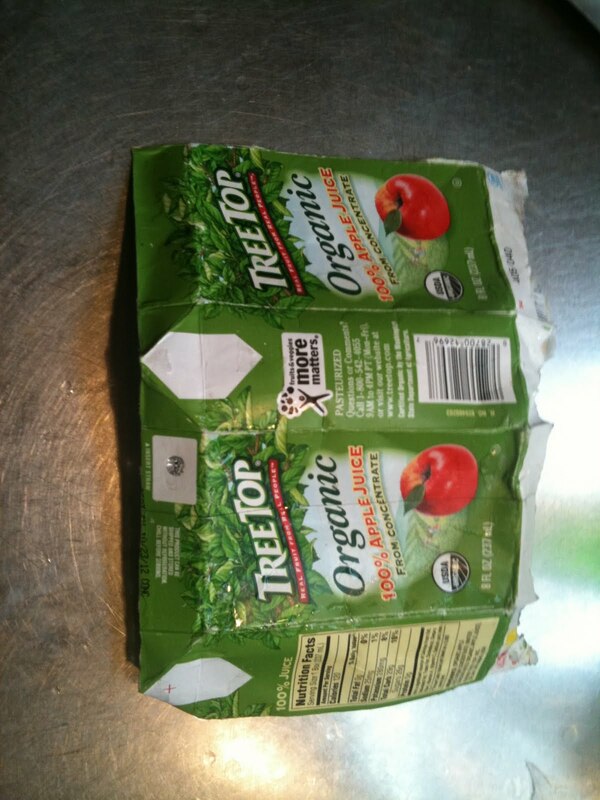 I started by unfolding and cutting the ends off the empty juice boxes. I then cut them open, washed them out and let them dry. I found a cube template online, printed it and cut it out. After the juice boxes had dried I then used a pen to trace the cube template and cut them out. The cube template shows you were to fold and because the juicebox cardboard is laminated I really made sure to crease the folds. 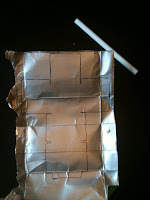 Using a hot glue gun I then glued the cubes closed. After that the blocks were done and the girls spent a long time stacking the blocks, building towers and knocking them over. 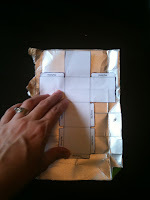 The blocks are very light and to my surprise quite durable. 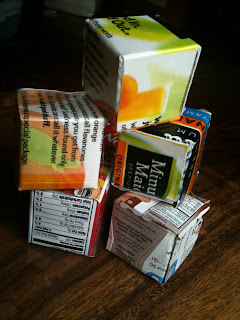 I love the pattern from the juice box labels although the insides were silver and you could easily make silver blocks or covered them with paper or paint. The boxes would also make fun packaging for presents, making the box the same way but leaving the lid unglued so you could close and open it. Wow. This is totally inspiring. I LOVE your blog!